IT was a typical day at the office for some teams but a rude awakening for others as we finish Round 17. Palmerston got off to a flying start early against St Marys and the fly continued as the Magpies crushed the Saints by 81 points. Southern Districts was a different story as it fell to Pint with a poor display. The Tigers were the big surprise of the round as they outplayed the Eagles, while the Wanderers look like they cannot wait for the season to be over. The last game was another win for Waratah with the Razorbacks only managing one behind for the game. Palmerston Magpies: F. Puruntatameri 4, S. Bush 3, W. Barlow 2, M. Brown 2, J. Stassi, J. Brock. St Marys: J. Chisholm, S. Puruntatameri, S. Edwards. After kicking four goals, and now sitting comfortably in fourth for goals in the competition, Freda Puruntatameri may be a contender for the rising star. Tabitha May is another who starred for the Pies this week, with her name seemingly appearing in the top six players for Palmerston on a regular basis. Unfortunately for St Marys, they got blown away early and couldn’t match the intensity of the Pies. Palmerston are likely to continue their streak against the Wanderers this week, while the Saints will face a huge challenge in Pint. Pint: C. Morris, E. Greaves. Similarly to their Round 16 victory over the Darwin Buffettes, the Queen Ants simply outlasted the Crocs in a game of missed scoring opportunities and strong defensive efforts. With Pint unable to capitalise in front of goal it looked like the Crocs could get a sniff in the final term, but when Pint needed a hero Casey Morris kicked the sealer to win the game. It should be noted that Crocs stars, Tahlia Holtze and Tayla Thorn were absent after their dominant display against St Marys. Perhaps resting two of their best players was not the best idea, but with only one round left and a very high percentage, the Southern Districts might be playing the long game. Last Sunday a light shined down on Tigerland as Jaylene Hill celebrated her 100th game. Emma-Lou Wolsey chucked on her kicking boots for three majors but was succeeded by Shantel Miskin-Ripia who managed to kick a bag of five. Nightcliff’s victory means they may escape the bottom of the ladder on percentage, but will need to give the Crocs a run for their money to do so. Waratah: T. O”Hehir 2, A. Chittick 2, L. O”Shea 2, K. Piscioneri, S. Puruntatameri. Waratah dominated once again in Round 17, proving their continued dominance in the competition while injuries again was to be a major source of hardship for the Razorbacks. Ashley Stanley was a jet in the midfield, looking like she has taken her game to a new level. Warriors forwards, Amy Chittick and Lauren O’Shea kicked four goals between them, while Rebecca Pryer played well off the halfback flank. The Grand Final replay will commence this week when Waratah faces off against a depleted Darwin Buffettes side. Waratah will try to make one last statement before the finals begin. 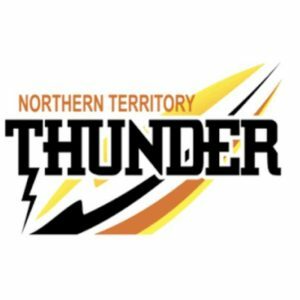 WITH Australia Day weekend coming up, the Northern Territory Football League (NTFL) Women’s Premier League competition will see three days of football. On Saturday, Waratah meets the Eagles at Gardens Oval. The Warriors destroyed Pint last weekend and looks to repeat the same efforts against the Wanderers. On Sunday, Nightcliff battles Tracy Village, followed by Darwin coming up against St Marys. The Razorbacks should be hungry after their previous withdrawal while Darwin seeks redemption after its loss to the Pies. Monday sees titans clash with the Southern Districts and Palmerston Magpies facing off. The Magpies have been knocking off top teams left and right and the Crocs look like the only team that can stop them. In previous matches, the Eagles have been blown away by the ladder leaders. Waratah’s forwards, Lisa Miceli, Sue Nalder, Amy Chittick, and Lauren O’Shea could all top the goal kicking tally if they get off to a good start. Then there’s the Warriors backline that forms up a wall of intercept markers. Lisa Roberts and Sharona Bishop will make it very difficult for the Wanderers to score as they have fewer spearheads up front. The Eagles have nothing to lose nor gain in this game, but with only four games left, the Wanderers just have pride on the line. Tracy Village pulled out of last week’s match against the Southern Districts. This week, the Razorbacks should be more than ready to face the bottom-of-the-ladder Tigers. If the Tigers are to win this match, they must negate the influences of Kristy Irvine and Zhoe Clarke. Despite the fact that both teams lack key position players, Clarke and Irvine have the ability to carry the Razorbacks over the line. The Tigers may not have this privilege as Chloe Scheer‘s duties to the Adelaide Crows might cause her to miss the rest of the season. Last weekend, the Buffettes failed to play four quarters of football in their loss to Palmerston. This is due to missing players in Tikesa Docherty-Cole, Jasmine Anderson and Nicky Anderson. Darwin will be very keen to get these players back fit and firing. 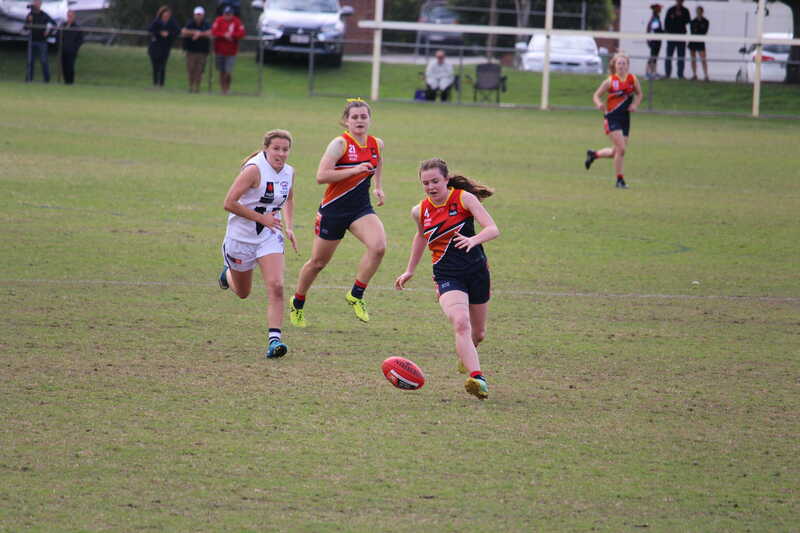 Machaelia Roberts and Kylie Duggan were everywhere against the Magpies, but lacked support for their efforts. They may not need to much support, as St Marys will be down a few players themselves. If Saints stars, Jasmyn Hewett and Danielle Ponter did not have responsibilities to the AFL Women’s competition, this would be an intriguing match. Unfortunately, that’s not the case and the Buffettes seem overwhelming favourites. The Southern Districts have played only one game in the last four rounds. This match will be a difficult one to win for the Crocs, as the Magpies have been running elite teams off their legs. Freda Puruntatemeri shifted into a new gear last week, kicking crucial goals for her side. Lateesha Jeffrey will need to lock down this sharpshooter quickly before she gets a taste of the scoreboard. Despite this, the main concern for the Crocs is the Pies’ midfield. Jessica Stassi, Tabitha May, and Natasha Mebury are all unique as they each bring something different to the table. Stassi’s bollocking clearance work, May’s skill at ground level, and Medbury’s ability to push forward make a very unorthodox yet deadly combination. Tahlia Holtze and Ebony Miller will have to push themselves beyond their limits to combat this formidable trio. If the Crocs can show their earlier form from this season, Palmerston could be in for a shock. However, the Southern Districts will play as the underdog this round due to the Magpies’ current wining streak.